The Medical Counseling Committee (MCC) has released the schedule for the NEET counselling at mcc.nic.in. NEET is the medical entrance exam held for admission in medical and dental colleges across India. The following is the detailed schedule for rounds of NEET 2018 counselling. 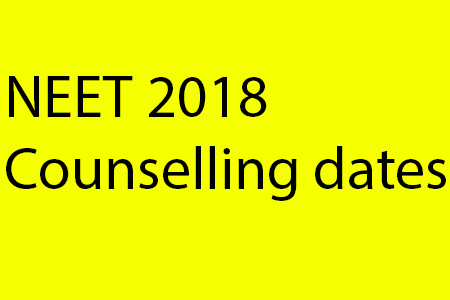 Directorate General of Health Services (DGHS), will conduct the NEET 2018 counselling on behalf of the Medical Counselling Committee (MCC). The counselling will be conducted for admissions to 15 per cent All India Quota (AIQ) seats in Government medical and dental colleges across all states (except J&K), 100 per cent seats in deemed and central universities, seats reserved for Wards of Insured Persons (IP quota) in Employees’ State Insurance Corporation (ESIC) medical colleges and seats at the Armed Forces Medical College (AFMC), Pune.